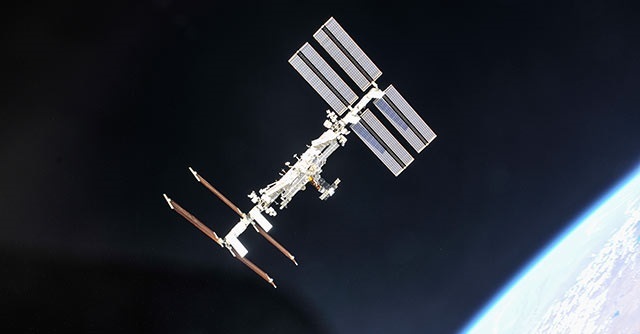 A comprehensive catalog of the bacteria and fungi found on surfaces inside the International Space Station (ISS) is being presented in a study published in the open access journal Microbiome. Knowledge of the composition of the microbial and fungal communities on the ISS can be used to develop safety measures for NASA for long-term space travel or living in space. The researchers found that microbes on the ISS were mostly human-associated. The most prominent bacteria were Staphylococcus (26% of total isolates), Pantoea (23%) and Bacillus(11%). They included organisms that are considered opportunistic pathogens on Earth, such as Staphylococcus aureus (10% of total isolates identified), which is commonly found on the skin and in the nasal passage, and Enterobacter, which is associated with the human gastrointestinal tract. On Earth, they are predominant in gyms, offices, and hospitals, which suggests that the ISS is similar to other built environments where the microbiome is shaped by human occupation. The researchers used traditional culture techniques and gene sequencing methods to analyze surface samples collected in eight locations on the ISS, including the viewing window, toilet, exercise platform, dining table and sleeping quarters, during three flights across 14 months. This allowed them to examine if and how the microbial and fungal populations differed between locations and over time. Dr Venkateswaran said: "Our study provides the first comprehensive catalog of the bacteria and fungi found on surfaces in closed space systems and can be used to help improve safety measures that meet NASA requirements for deep space human habitation. The results can also have significant impact on our understanding of other confined built environments on the Earth such as clean rooms used in the pharmaceutical and medical industries."